New York City vigil for Turkey’s miners, May 18. 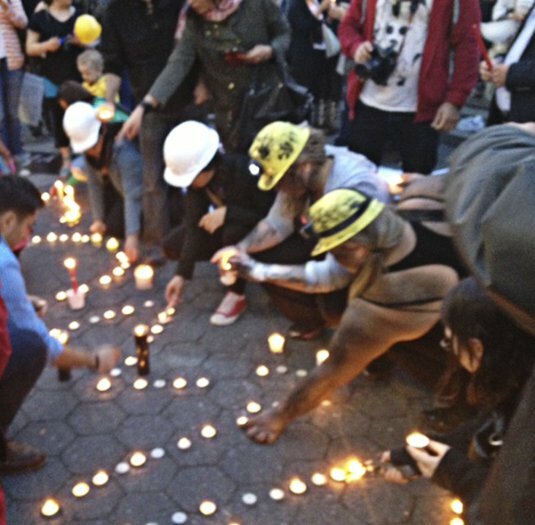 More than 100 people, mostly from Turkey, gathered in New York City’s Union Square on May 17 to honor 301 coal miners from the town of Soma, Turkey, murdered in a fire caused by unsafe conditions in a privatized mine. Some wore hard hats in tribute to the miners. Some carried signs denouncing capitalism, privatization and Turkish Prime Minister Recep Tayyip Erdoðan. They lit candles outlining the word “Soma” with flames. One of the organizers, Suleyman Coskun, is the son of a miner. He told the crowd, “A miner is a person who goes down hundreds of miles thinking it may be his last time to see the sky. I was 6 years old when a mine in Kozlu [Turkey] exploded and 10 miners died. … In 1992 one of Turkey’s biggest mine accidents happened, again in Kozlu, killing 263 miners, many of them my father’s co-workers. The miners’ deaths provoked a popular uprising in Turkey, from the mining towns to the major cities. Police attacked protesters with gas and water cannons. An Erdoðan aide was caught on camera kicking a martyred miner’s relative who was being held down by paramilitary police. 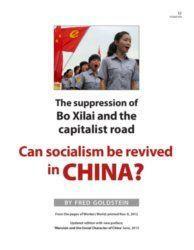 But the popular outrage forced the government to charge three midlevel managers at the mine and detain 25 others.